Haas' new title sponsor has dismissed as conspiracy theorists those who wonder about the credibility of the Rich Energy brand. The American team's new black and gold car is sponsored by William Storey, boss of an elusive British energy drink. "A rare sighting," said Reuters journalist Alan Baldwin on Twitter, after tracking down a few cans of the drink at Haas' livery launch in London. But Storey, Rich Energy's long-bearded boss, says he wants Haas to compete with energy drink giant Red Bull "both on and off the track" in 2019. "We are confident we will beat Red Bull in many races this year," he said. 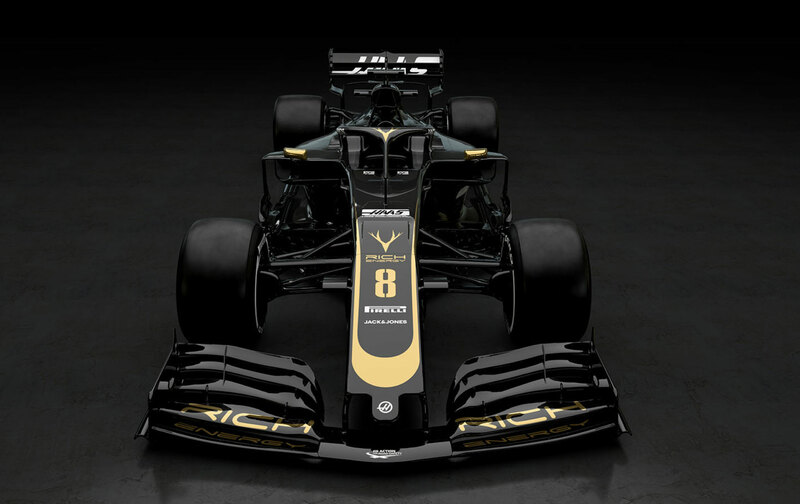 Storey said Haas' new black and gold car is reminiscent of the Lotus driven by Ayrton Senna in the 80s, and that is no accident. "It is not necessary to be Hercule Poirot to understand why our car looks that way," he said. The black and gold livery might ultimately have gone to Williams this year, with Storey admitting that talks with the beleaguered British team took place. "I felt sorry for Williams in the end," he said. "I felt that as a business, they were living off past glories and didn't run a very good business." He said the financial terms of the Haas deal were "much better", and slammed those who wonder if Rich Energy is actually even a legitimate brand. "Anyone who says that Rich Energy does not exist is like saying that a person never walked on the moon or that Elvis is still alive," he insisted.